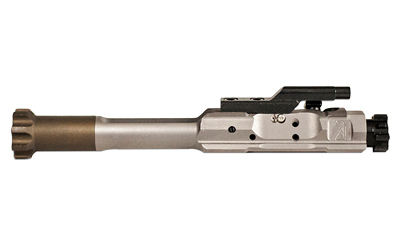 The 2A Armament Titanium Regulated Bolt Carrier Group (RBC) for AR-15s in .223/5.56 is an extremely lightweight carrier that has a built in gas regulator built into the carrier. This allos the shooter to tune the AR-15 gas system to reduce felt recoil and eliminates the need for adjustable gas blocks. The RBC can be adjusted from fully open to fully closed so it will work with most combinations of buffers, springs, suppressors, and barrel lengths. The best part is it does not require the firearm to be broken down for adjustment. Made in the USA.